My family and I just took a little holiday to Penticton British Columbia, Port Townsend Washington & Vernon BC. 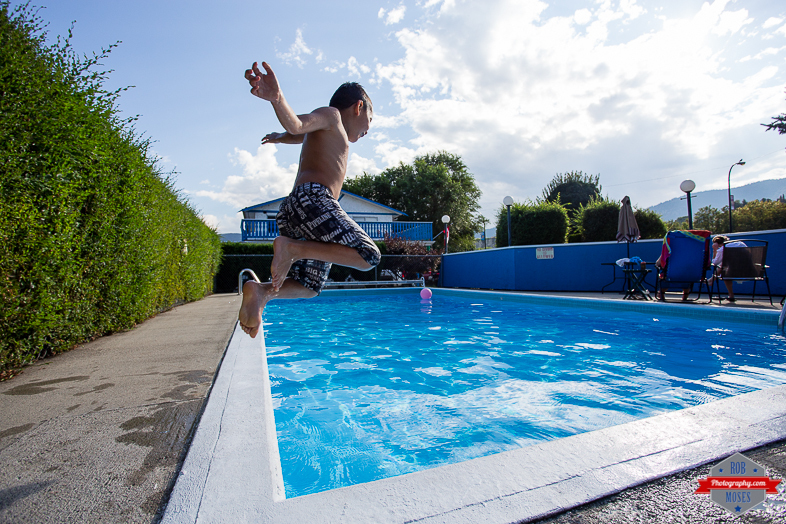 These are a few fun pictures I took of my son Joshua jumping into the pool at the hotel we were staying at in Penticton :). I’ll be posting more pictures of Penticton, Port Townsend & Vernon over the next couple weeks :). 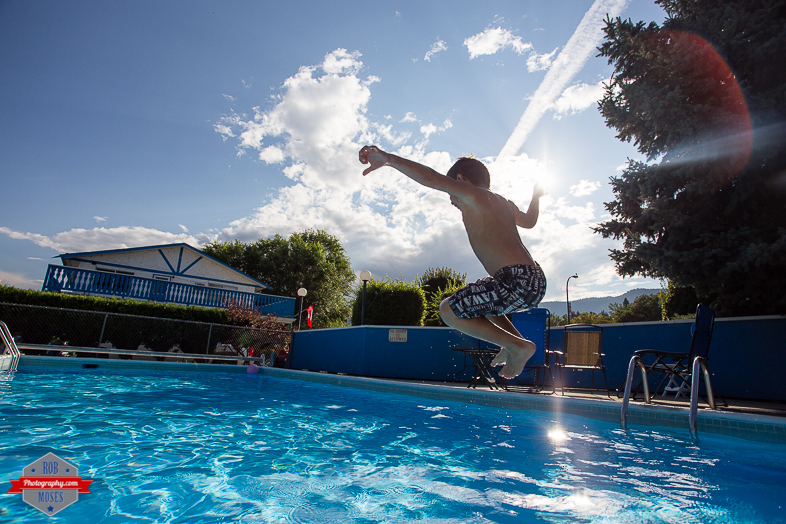 This entry was posted in People and tagged 17-40L, 17-40mm, 6D, BC, boy, British Columbia, Canada, child, fun, hotel, jump, jumping, kid, love, Penticton, photo, Photography, pool, portrait, sky, summer, sun, swim, swimming, Travel, zoom. Bookmark the permalink. All these photos are great Rob. 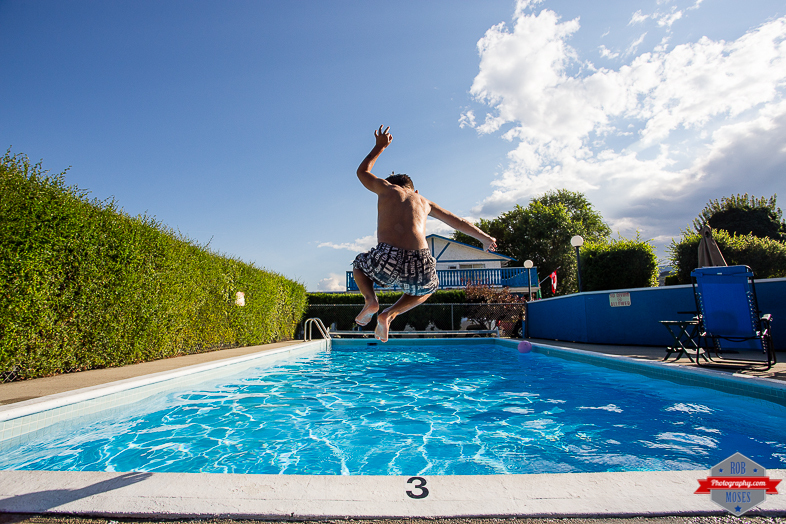 I bet you could sell the first one to the hotel – it’s a great ad: your son in mid air the sky and the pool; all amazing! Thank you! 🙂 Ya I like that one too haha. 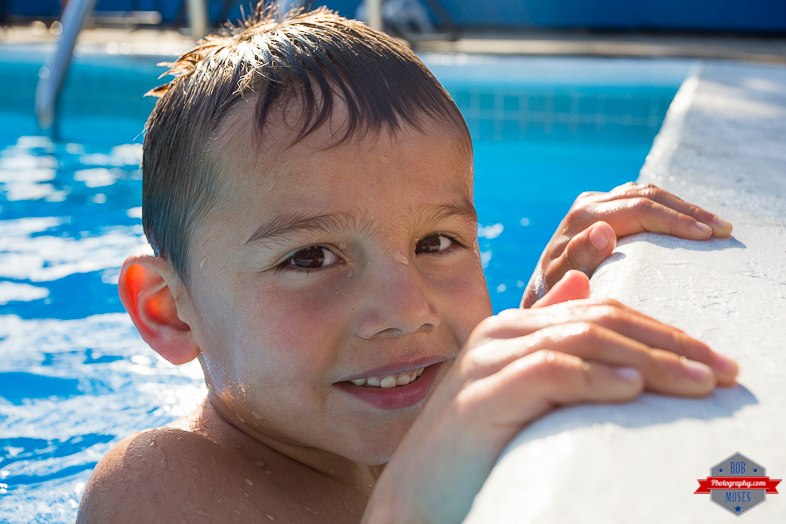 He was having a blast!